If you’re planning on taking your kids camping sometime soon, you’re in for a real treat. You can spend time enjoying the great outdoors, discovering wildlife and learning new skills. But if you’ve never been camping before, it’s likely you don’t know what you need to take. The last thing you want is to arrive at the campsite to realize you’ve forgotten to get something you really need. This can make yours and your children’s first experience of camping truly miserable. 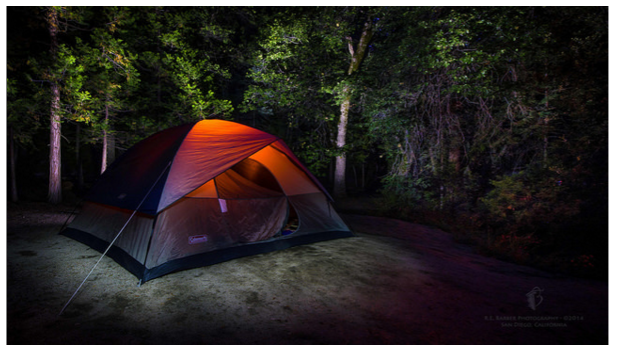 So to give you some guidance, here are some essential camping items you cannot do without. This may seem like a very obvious essential you need to take. But many first-time campers often don’t realize the importance of a good quality tent. If you buy a cheaply made, low-quality tent, it could leak, break easily and not give you the suitable space and structure you require. It’s always better to get the best quality tent you can afford that has enough room for each member of your family and their bags. Look at reviews online and talk to other parents about the tents they have bought for their camping trips. This should give you a better idea of what you need to look for. Also, try to find a tent that is easy to pitch and pack away. As it’s your first time, you don’t need the stress of pitching a complicated tent if you don’t have to. A gazebo is a brilliant camping essential that can provide comfort, space, and shelter from the elements. There may be periods during your trip when the weather may take a turn for the worst. While there is nothing wrong with going into your tent, you may find a gazebo lets you move around more freely. It can give you extra space to cook meals, play games and keep your belongings dry during bad weather. Instead of being limited to the space inside your tent. It can also provide some much-needed shade and stop you and your family getting sunburned. You can find gazebos for sale in camping shops and online in a range of different price points and styles to suit you. Sleeping bags are something every camper should have and without them, your nights will be very uncomfortable. Look for well padded, suitably sized sleeping bags for each member of your family. You can find some excellent adult and kids sleeping bags for a great price if you shop around in the sales. You can also find sleeping bag designs with hoods and pockets for extra functionality. This will make your tent far more comfortable to sleep in by providing protection from the floor and warmth. Shop around for the best prices and also consider air mattresses for additional comfort. Now you know what you need to take; you can start looking forward to your camping trip. If you need a more extensive list of what items you need to take, look online for a camping checklist. Or talk to the staff in camping shops to make sure you are all prepared for your adventure.